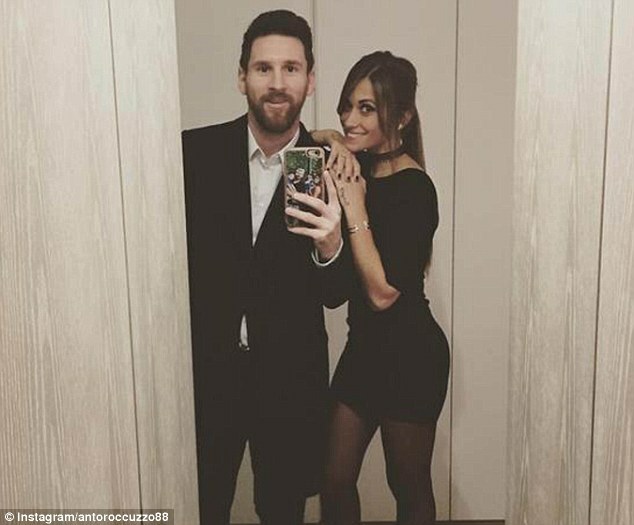 Lionel Messi and wife-to-be Antonella Roccuzzo may appear that they are settled into a life of family bliss but apparently they still like to act their age. At 29 and 28 the Barcelona superstar and his fiancee are not quite ready to get the slippers out yet, as they proved in Roccuzzo’s latest Instagram post. Looking coordinated and stylish in black outfits the couple posed for a snap in front of the mirror. Perhaps under the guidance of his model missus, Messi has cleaned up his act from the shaggy style of his early years in the limelight. Gone is the shoulder length hair and in its place is a neat trim and beard. He even dabbled with a daring bleach blonde look until recently. Presumably with a babysitter booked to look after their two sons, Messi opted for a simple black suit with a white shirt for their date night, whilst Roccuzzo coordinated, stepping out in a simple black dress. However, it is unlikely that the pair were out until the early hours. Ivan Rakitic has been in revealing form recently, telling the media in Croatia about the party-shunning ways of the Barcelona squad. 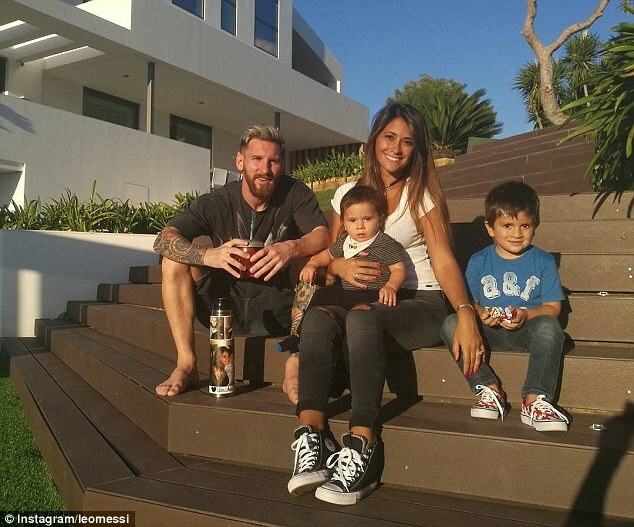 Even if Messi is not prone to excess he is not averse to splashing out when it comes to his family. 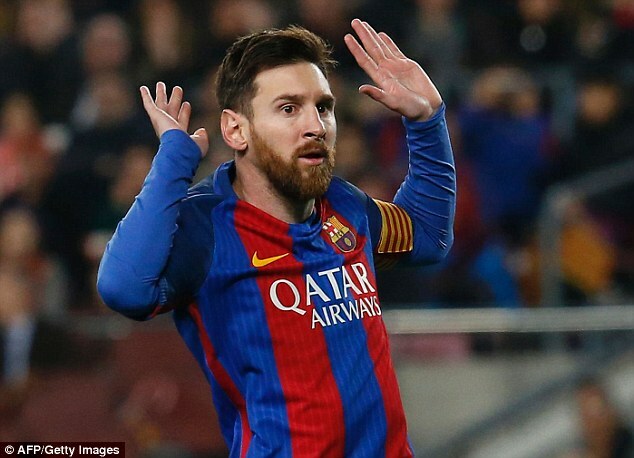 Messi lives in the plush Castelldefels area of Barcelona but expanded his local property portfolio after disturbances from next door. The Argentina forward was revealed to have bought out his neighbours in Spanish media reports four years ago – and Rakitic has confirmed the move was at least in part due to an issue with noise complaints. 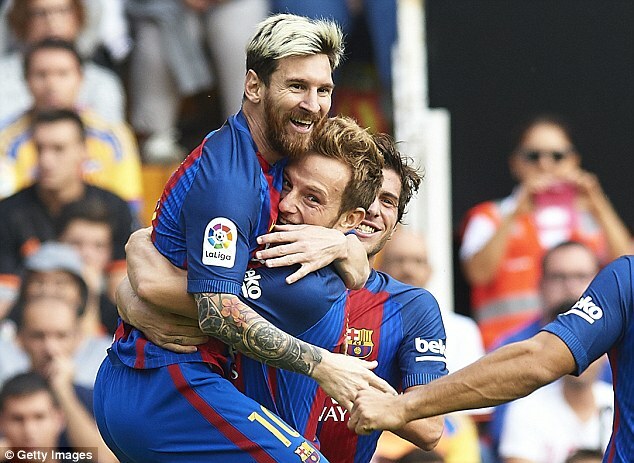 ‘When he bought his house in Castelldefels his neighbours were a little noisy,’ Rakitic told Croatian outlet Novi List. The five-time Ballon d’Or winner and and Roccuzzo have two sons together: Thiago, four, and one-year-old Mateo.